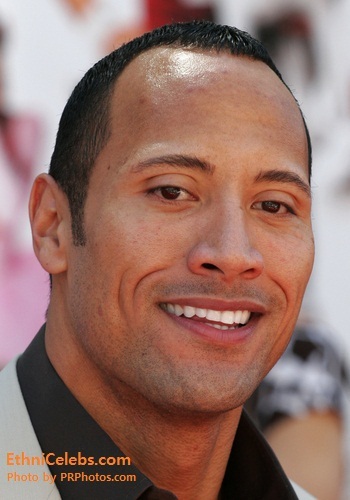 Dwayne Johnson, also credited as The Rock, is an American professional wrestler, actor, and producer. He is the son of Ata Johnson (born Feagaimaleata or Mataniufeagaimaleata Fitisemanu Maivia) and Rocky Johnson (born Wayde Douglas Bowles), a Canadian and American wrestler. A picture of Dwayne at a young age, along with his parents, can be found here. Dwayne’s father, who is black (African-Canadian), was born in Amherst, Nova Scotia, Canada, of Black Nova Scotian heritage. Black Nova Scotians are descended from African-Americans who left the U.S. after the American Revolution, having sided with the British. Dwayne’s paternal grandparents were both black, and Dwayne has stated that he also found out that he has some “strong Irish blood” on his father’s side. Dwayne has also been said to have First Nations (Native Canadian) ancestry, although it is not clear if that is accurate. Dwayne’s mother is Samoan. Dwayne spent some time growing up in Grey Lynn, New Zealand, where he was able to learn about his Pacific Islander heritage. He has a tribal “pe’a” chest-and-arm tattoo. Dwayne was selected People Magazine’s “Sexiest Man Alive” in 2016. He is the second non-caucasian man, and the second man of significant African ancestry, to have been given this title by the magazine (Denzel Washington, in 1996, is the first, and Idris Elba, in 2018, is the third). Dwayne is also the first Polynesian man to have been given the title. Dwayne has two children with his partner, singer and songwriter Lauren Hashian; and a daughter with his former wife, producer Dany Garcia. Dany works on many of Dwayne’s films. Dwyane’s paternal grandfather is James Henry A. Bowles (the son of John W. Bowles and Lila/Lilla Jones). James was born in Amherst, Nova Scotia. John was the son of Stephen Bowles and Charlotte. Lila was the daughter of Henry Jones and Mary. Dwyane’s paternal grandmother is Lillian Gay (the daughter of Alfred Nathan Gay and Isabelle/Isabel Sickles). Isabelle was the daughter of Benjamin Sickles and Hannah. Dwyane’s maternal grandfather was Fanene Leifi Pita Maivia (the son of Rebecca Fanene). Fanene was a famous Samoan pro-wrestler, under the name Peter Maivia. He was from American Samoa. In Dwayne’s early wrestling days, he was known as Rocky Maivia, a combination of the nicknames of his father, Rocky Johnson, and his grandfather, Peter Maivia. Dwayne’s maternal grandmother was Ofelia “Lia” Fuataga. Ofelia was born in Lalomanu, Aleipata, Western Samoa (then under New Zealand rule, now independent), and was a wrestling promoter. Whatever makes you feel better buddy. 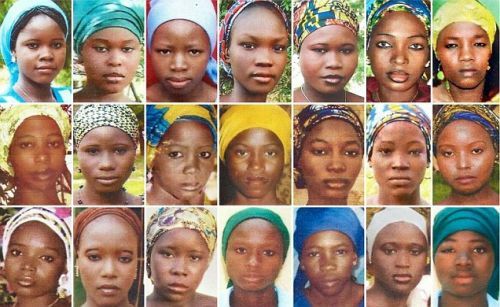 The Hausa women picture looks odd, maybe it’s the lighting I dunno…the third woman from right is mixed and others are suspicious. The Cameroonians here look normally West African. You can have 500 ethnic groups but the majority of people still belongs to a few ones. You can say my exposure is limited but I’ve personally met and talked to people from a lot of African countries, Congo and Ethiopia too. Picture below of a native Somoan man who would by appearence be seen as just African American. Damn you really want every good looking mixed person to be black. Get over yourself. Black people can recognize other blacks or people with african admixture and many Somoans look African admixed to me.